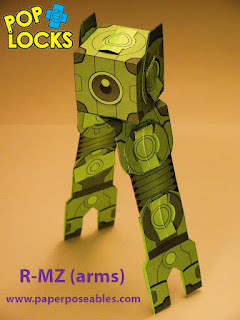 R-MZ (pronounced "Arms") is quite handy... all hands really. 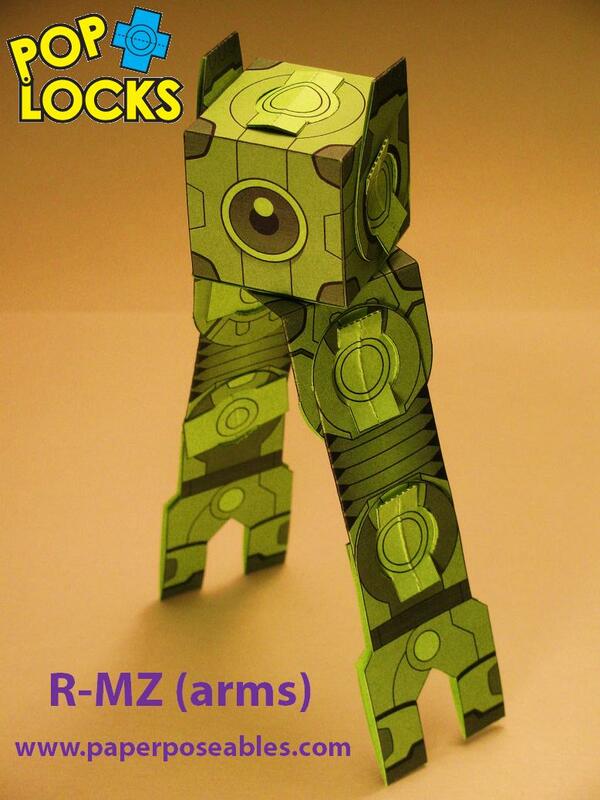 R-MZ features a revolving head, swiveling arms and adjustable antennae! Despite his legged shortcomings, R-MZ is quite tall and always steps over 2-PH like he wasn't even there! All four of these Poplock One-Pagers share the code name - Super Combiners! What does that mean? Probably what it sounds like, but you'll have to wait till after I get back from PAX to found out. 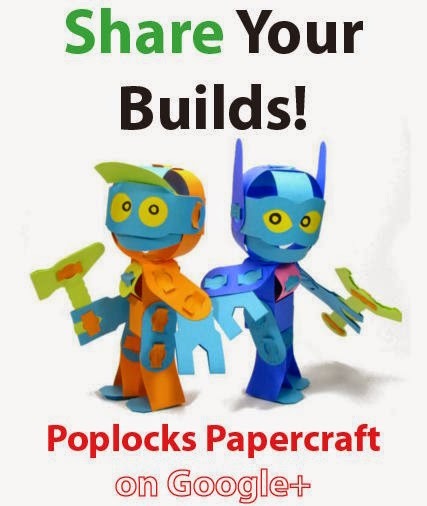 Also next week, one of these bots will become a free download, so practice cutting out tiny round holes with your craft knives!